What are they and what purpose do they serve? For years the fire company maintained a keychain with the keys to many businesses and residences throughout our first due territory. The purpose was to reduce the cost of damage to a business or residence owner when we received a call for service that required us to enter the building or residence. Maintaining this key ring to alarmed buildings and residences became increasingly unmanageable due too its size and the number of keys that we had to carry on the apparatus. 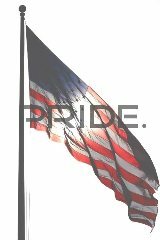 The company officers evaluated the benefit of the program and decided it was a program we would like to continue but another way to accomplish it had to be found. Knox-Boxes are constructed of ¼" solid steel with a ½" steel door and reinforced locking mechanism. They are UL listed against physical attack and the Medeco security lock is patented and UL listed for drill, pick and pull resistance. The master key to the box is kept only by the fire company. Knox-Boxes are purchased directly from the Knox Company .Once installed near the entrance to your property, the fire company locks your building entrance key inside the Knox-Box so that it is available onsite for future emergencies. Select the appropriate Knox device in consultation with the fire company and obtain an approval signature from the authorized Knox Box Officer. 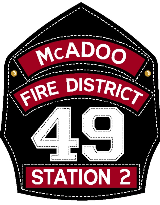 - Contact the McAdoo Fire Company, Inc.